This year, everything changes. The shooter franchise that made its name delivering furious and bombastic single-player journeys, and later smorgasbords of FPS excellence in solo, multiplayer and Zombies modes, ditches lone play altogether. This is the year Call of Duty® embraces battle royale. On the off chance PUBG and Fortnite passed you by, battle royale is gaming's newest big genre. Up to 100 players descend onto one multiplayer map from on high and hunt each other to the death until only one player is left standing. The particulars of each battle royale game vary - crafting, vehicles, shrinking play areas - but those broad strokes remain a constant. Enter Blackout mode, Call of Duty®'s own take on the battle royale game. Here up to 100 players battle it out on the franchise's biggest ever multiplayer map featuring zones inspirer by previous Black Ops multiplayer venues. You might find yourself with your back to the wall in an analogue of the celebrated Nuketown, for example. Perks add a new dynamic to the formula too: wander around scavenging and you'll find 'Stimulant’ which gives your character 100 additional health points, or timed boost to attributes such as perception, stamina and vitality. The big draw here is Call of Duty®'s famously polished feel and network performance, and when you consider the fact that a certain degree of jankiness has erstwhile been battle royale gaming's calling card, that's a significant point. The shooting, traversal, and gadgetry feel distinctively smooth and well-animated, setting Blackout mode aside from its peers. Call of Duty®'s long-running Zombies mode certainly has some DNA in Blackout too. In addition to other human enemies - which you'll encounter as solo fighters or in squads of up to four - AI-controlled zombies are also out to get you. These zombies spawn at specific locations on the map which nod to prior Zombie outings, like the asylum and lighthouse, and there's some risk/reward at play when they shamble towards you: special items like the Ray Gun and Cymbal Monkey are dropped when zombies are defeated. Traversing the island efficiently is, as always for this genre, a major facet of the game, and vehicles like the ATV and helicopter spawn to assist you in that endeavour. Embarking in one of these is sure to make you a target, so once again you and your squad need to weigh up the benefits against all that unwanted attention. On the edge of the zone, and low on health? Maybe it's worth hopping in. Late in the game, deep within the play zone? Perhaps not. For the uninitiated, play zones funnel players into closer proximity as the round progresses, damaging anyone caught outside the safe area on the map periodically. As the round goes on longer, the safe zone shrinks, and the opportunities for hiding and looting diminish. It's in the final minutes of the round that Blackout plays most like the Call of Duty® of old: frenetic close-quarters gunfights between small squads; run-and-gunning perfection. 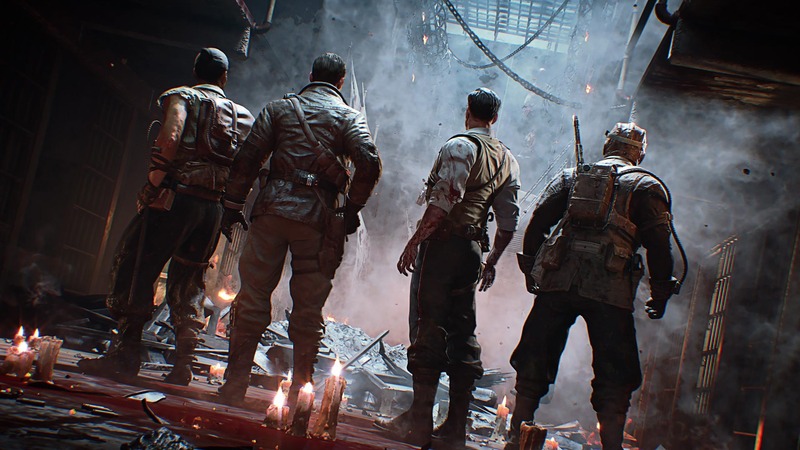 What began as a throwaway diversion in World at War has become one of the franchise’s core pillars. Zombies is an institution, and it’s back with a vengeance in Black Ops 4. 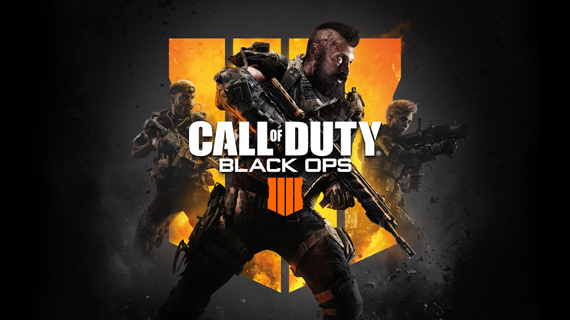 What's new in Call of Duty®: Black Ops 4? Each passing year has brought innovation, experimentation and refinement to the Call Of Duty franchise - but rarely such bold departures or additions as 2018’s Black Ops 4.